Here are a couple of tips to keep in mind when your company becomes involved in a crisis. Communicate. At the very least, make a fact sheet of basic company information and your products. Answers to”Who, What, When, Where?” is a great template for a fact sheet. Use your website to keep insiders and outsiders informed. Your website is on 24/7 worldwide. Why not use it to help you provide facts and minimize rumors. Don’t oversell quality. Zero defects has an almost magical ring to it. But the fact is that in complex systems even redundant backups don’t always work. Statistically, outlying events can and will occur. Do demonstrate your sincerity, and discuss the steps that your company is taking to identify the problem, get the problem contained, and the immediate and long term corrective actions that your team is working on. 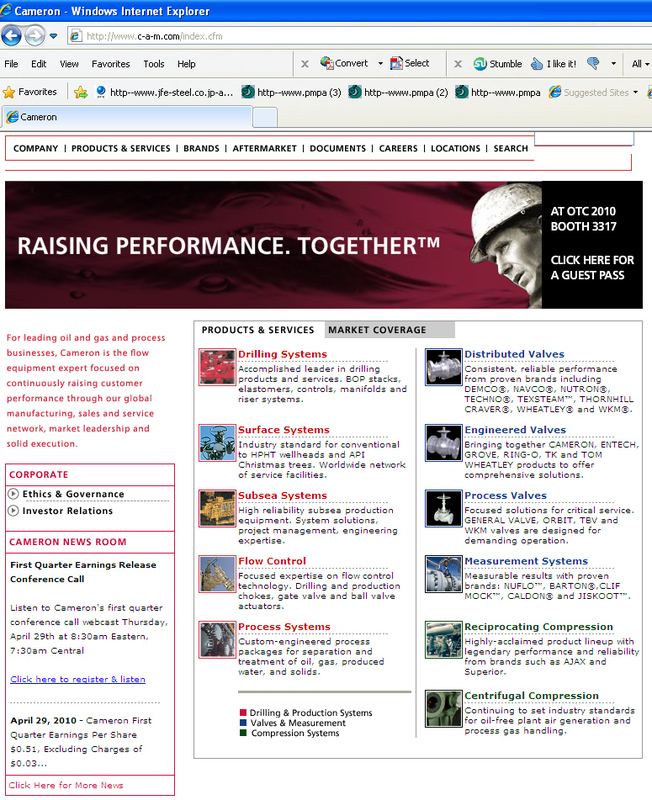 As of noon May 3, 2010, Cameron International’s Website has nary a mention of the fact that their company’s Blow Out Preventers may be involved at the BP- Deepwater Horizon spill ongoing in the Gulf of Mexico. The first quarter earnings release conference call seems to be the only “newsworthy” item on Cameron’s webpage. No mention of any work or involvement by the Cameron Team to get the situation in the Gulf fixed. No “Who, what, when, where?” information. No spokesperson. The website provides a company with a powerful means to get the facts out. To show their customers, their employees, other people who may be affected what efforts are being taken to get things under control and restore normalcy. 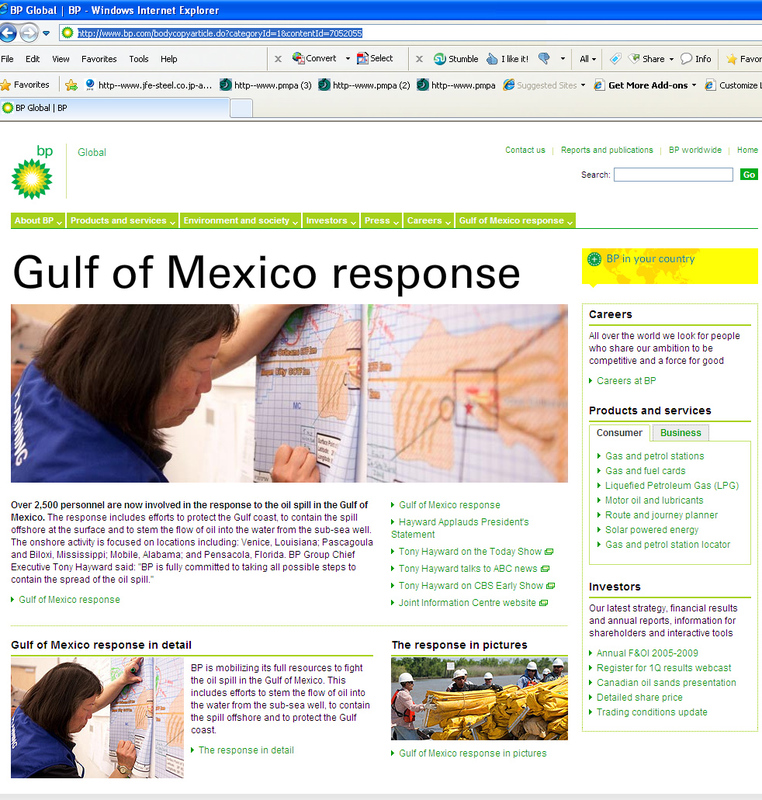 Guess what BP is talking about on their website? The best bargain in education is when you learn from other people’s mistakes. Watch how this one works out. Meanwhile, how about sitting down with your team and asking “What if this happened to us? This entry was posted on Tuesday, May 4th, 2010 at 5:24 am and is filed under Engineering, Front Office. You can follow any responses to this entry through the RSS 2.0 feed. You can leave a response, or trackback from your own site. I was really looking forward to the beach this weekend! (And several weekends hence!) Not sure what the lesson is here, but I’m mad! 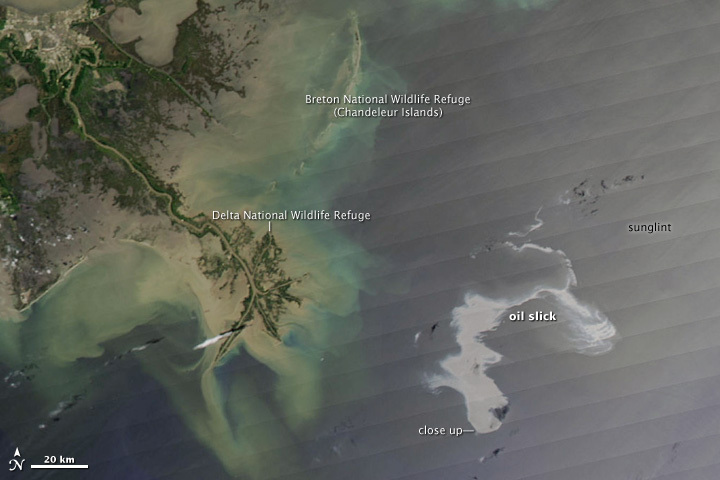 This oil disaster is one of the biggest problems which has ever been. I hope with the help of BP the most damage can be stopped. Substantially, the problem of the Florida oil desaster is actually a majour problem. Your post is deserving contribution to this bloody oil desaster. One has to look at it in depth. In fact I do not harmonise with some small points in general Im agreeing to your position. I am looking forward to future development, which eventually brings a solution and terminates the oil desaster.